NEW YORK – March 20, 2019 – Stella Artois is continuing its mission to rally people coast-to-coast to change up their usual drink and choose Stella to "Pour it Forward®” and help end the global water crisis as part of the brand’s long-standing partnership with Water.org. Joining the chorus of famous faces opting for Stella Artois this year is actor, writer and producer Mindy Kaling, who will be teaming up with Stella and Water.org to show how easy it is to help transform someone’s life with access to clean water in honor of World Water Day. Every twelve-pack gives 12 months of access to clean water. Every six-pack gives 6 months of access to clean water. Every pour (or bottle) gives 1 month of access to clean water. 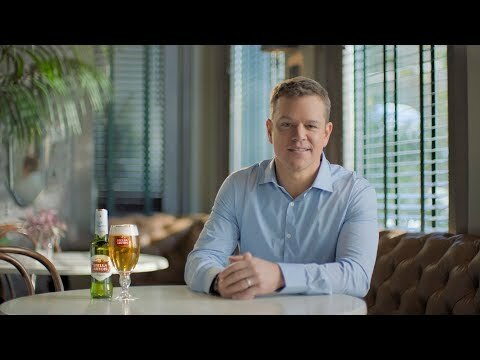 Since 2015, Stella Artois has helped Water.org provide more than 1.7 million people in the developing world with access to clean water, with a goal of providing 3.5 million people in the developing world with long-term, sustainable access to clean water by 2020 through the partnership. As part of the Anheuser-Busch family of brands, the partnership between Stella Artois and Water.org builds on the company’s long-standing commitment to creating a cleaner and more sustainable world for future generations. To achieve their ambitious 2025 Sustainability Goals, Anheuser-Busch continues to drive progress across its supply chain to reduce environmental impact, preserve natural resources and act as a strong partner to their local communities. The company works closely with partners like Water.org to ensure their commitments and programs drive meaningful change for the environment and contribute to a shared objective of a Better World. Join us and “Pour it Forward®” by choosing Stella, purchasing a Stella Artois Limited-Edition Chalice or spreading the word on social using #PourItForward. For more information on “Pour it Forward®” and other ways to get involved, visit Water.org/StellaArtois. Water.org is an international nonprofit organization that has positively transformed more than 16 million lives around the world with access to safe water and sanitation. Founded by Gary White and Matt Damon, Water.org pioneers market-driven financial solutions to the global water crisis. For more than 25 years, we've been providing women hope, children health, and families a future. Learn more at https://water.org/. $3.13 helps provide clean water to 1 person in the developing world for 5 years. Stella Artois will donate to Water.org $3.13 for every limited edition Stella Artois chalice sold in the U.S. between 1/1/19 and 12/31/19, up to 300,000 chalices. Through March 22, $0.72 will be donated to Water.org for every share of #PourItForward, up to $25,000, representing approximately one year of clean water. For each Stella Artois or Stella Artois Cidre pint (16oz draught pour equivalent) sold to on-premise sellers, Stella Artois will donate 1 month of clean water for one person in the developing world. ($0.06 per pint, up to $500,000.00). For each Stella Artois or Stella Artois Cidre 6-pack sold to off-premise sellers, Stella Artois will donate 6 months of clean water for one person in the developing world. ($0.31 per 6-pack, up to $500,000.00). For each Stella Artois or Stella Artois Cidre 12-pack sold to off-premise sellers, Stella Artois will donate 12 months of clean water for one person in the developing world. ($0.62 per 12-pack, up to $500,000.00). For each Stella Artois 18-pack sold to off-premise sellers, Stella Artois will donate 18 months of clean water for one person in the developing world. ($0.93 per 18-pack, up to $150,000.00). For each Stella Artois or Stella Artois Cidre 24-pack sold to off-premise sellers, Stella Artois will donate 24 months of clean water for one person in the developing world. ($1.24 per 24-pack, up to $250,000.00). For each Stella Artois 22oz bottle sold to off-premise sellers, Stella Artois will donate 2 months of clean water for one person in the developing world. ($0.12 per 22oz bottle, up to $150,000.00). For each Stella Artois 19.2oz can sold to off-premise sellers, Stella Artois will donate 2 months of clean water for one person in the developing world. ($0.12 per 19.2oz can, up to $100,000.00). For each Stella Artois 14.9oz can sold to off-premise sellers, Stella Artois will donate 2 months of clean water for one person in the developing world. ($0.12 per 14.9oz can, up to $100,000.00).